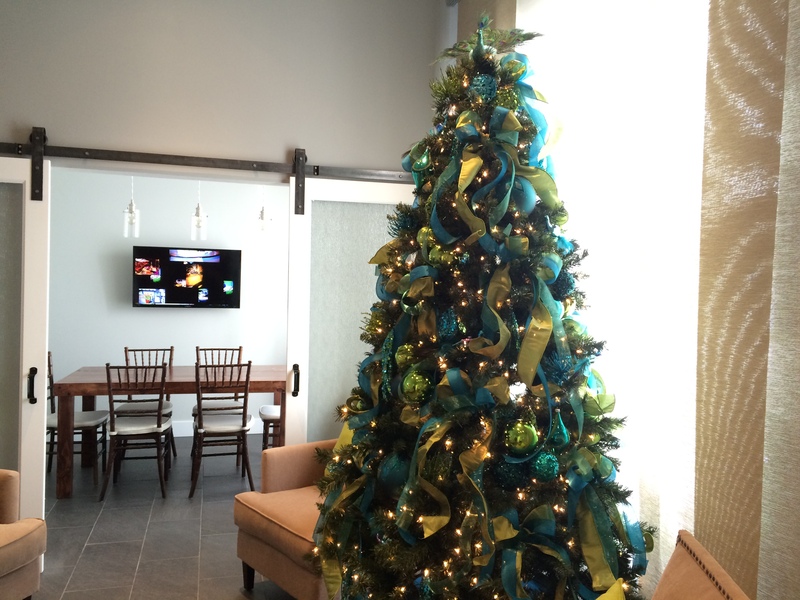 The holidays have officially arrived at Lux Catering and Events! 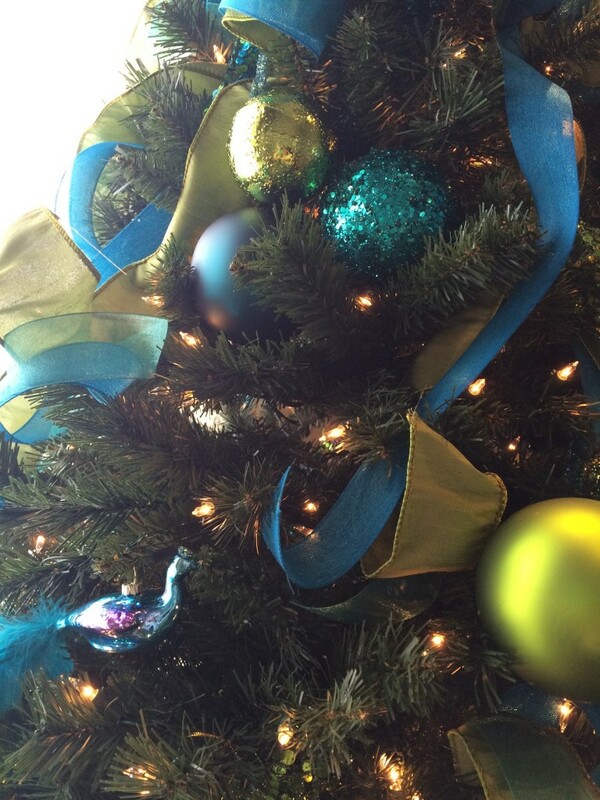 We spent the day setting up and decorating our office, while listening to classic Christmas music of course. 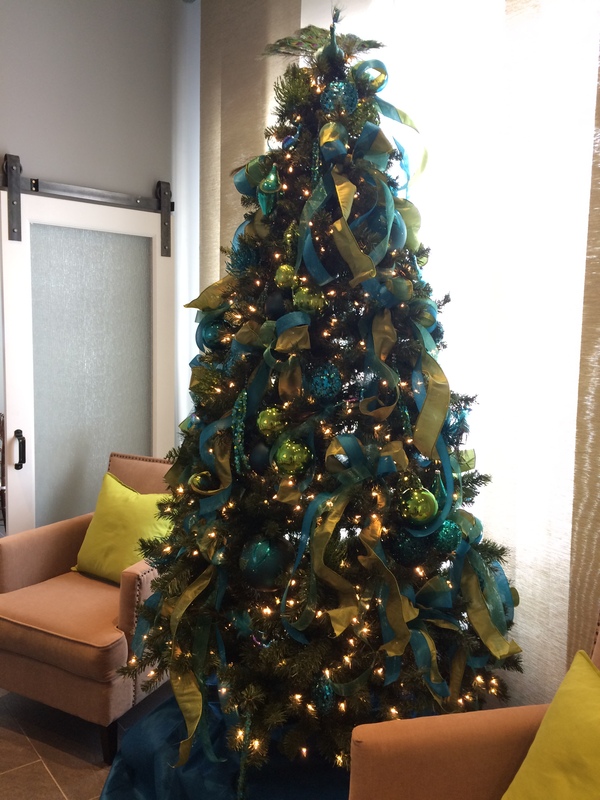 We knew we needed to have a festive office to usher in the season and to accompany our brand new and delicious holiday entertaining menus. 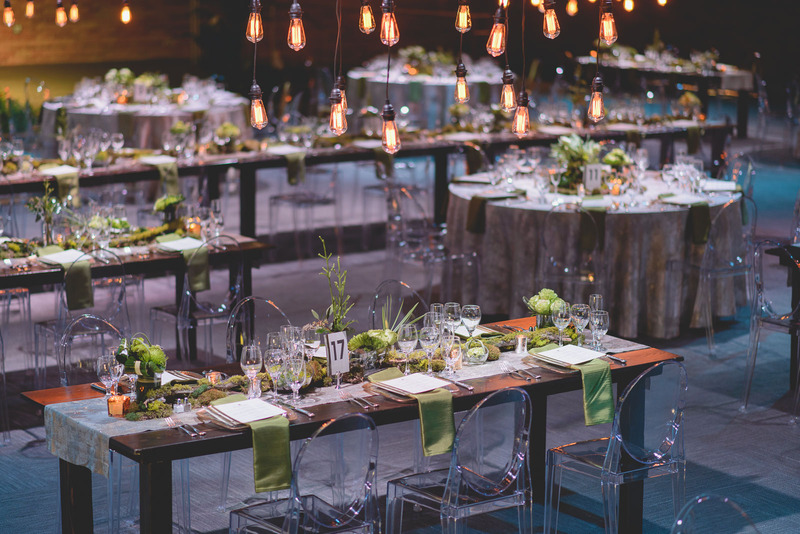 Our inspiration is peacocks and love how the green tied in with our company’s colors, while the blue made a bold and eye-catching statement. 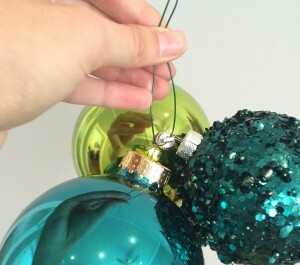 Read on to learn a couple of our tried and true decorating secrets! Rather than hanging each individual bulb, string three unique bulbs of different size and color together with floral wire. Tie wire into a square knot twice. 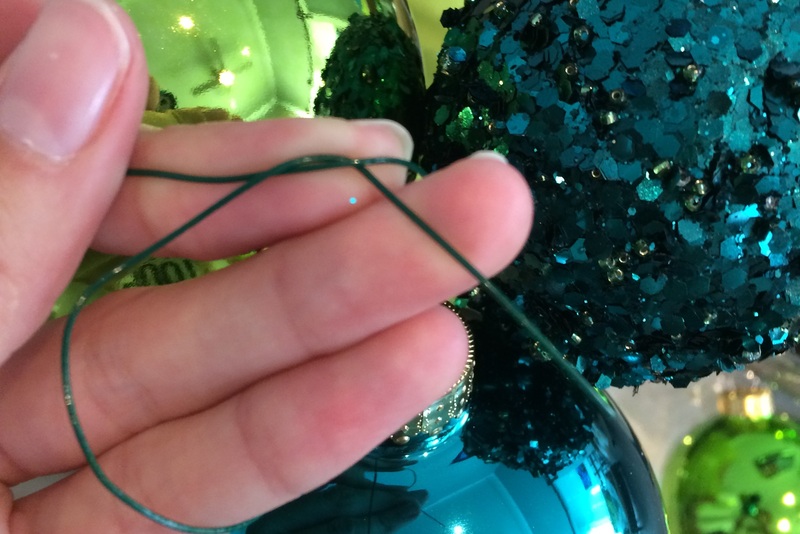 Using the wire, attach to tree and arrange the bulbs into a triangle with no bulb ends or wire showing through. Viola! We took three different kinds of ribbon (wired ribbon is preferred for all three, but only one wired ribbon is necessary) and, layering them on top of each other, tied large bows with long tails. 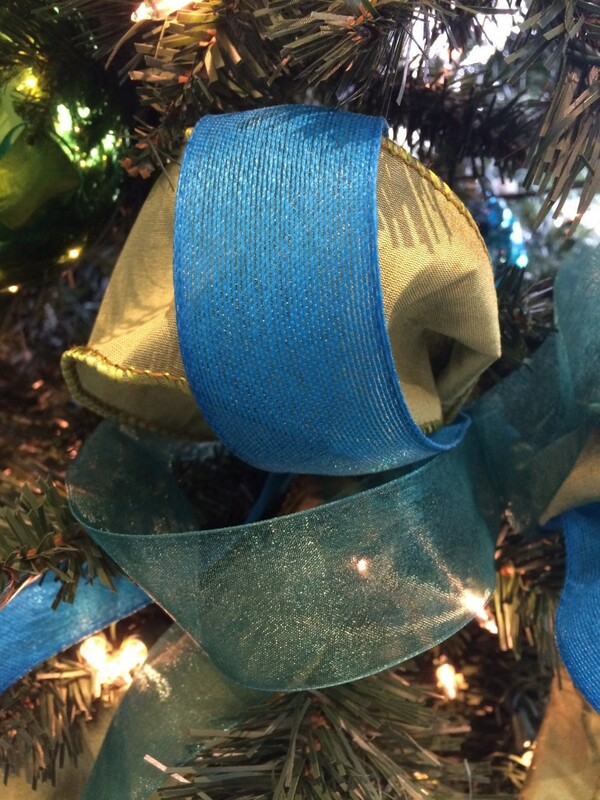 Tuck the bows into bare spots in the tree and fluff the bows and tails out to make them full and messy. 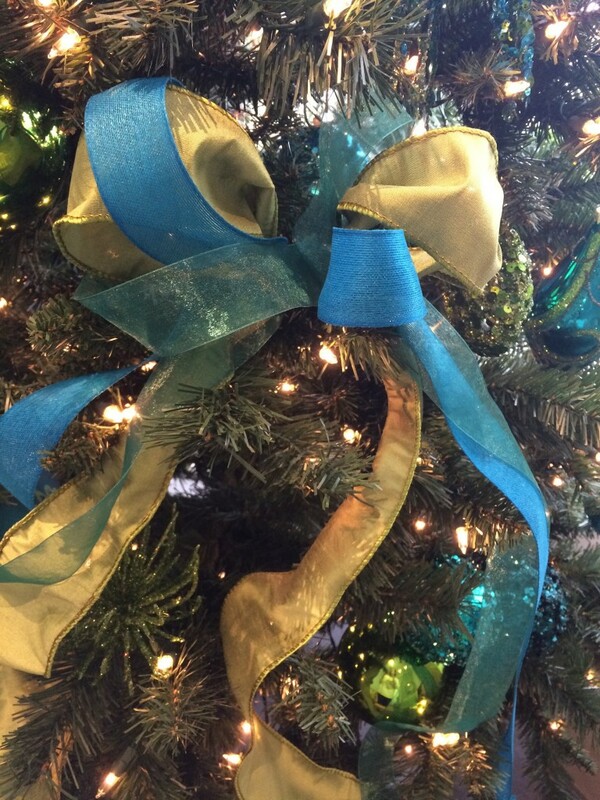 Arrange the tails so they hang with carefree curls as if they fall “naturally” around other elements of the tree. 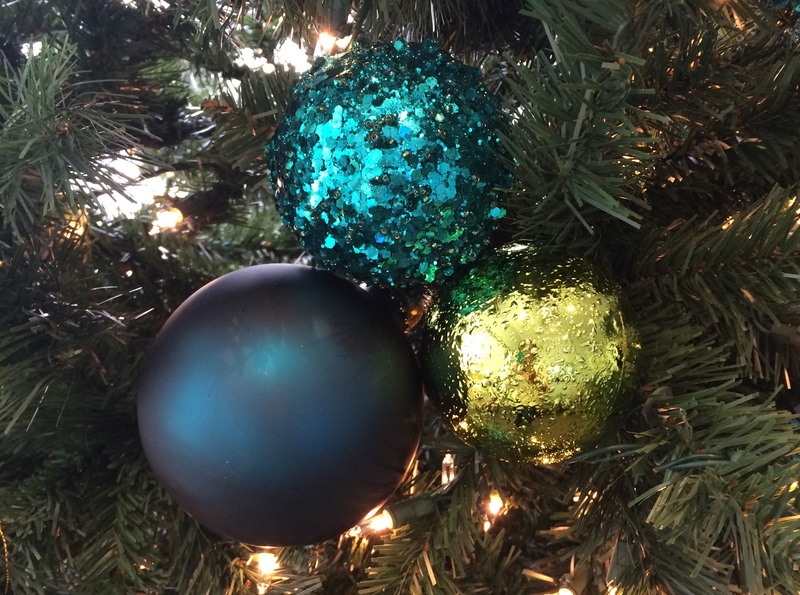 Combine these items to other elements of your tree; don’t forget to include details like texture (think feathers) and light (increase the shine of your tree by adding ornaments with glitter). Your holiday guests will be in awe of your Christmas decorating prowess! 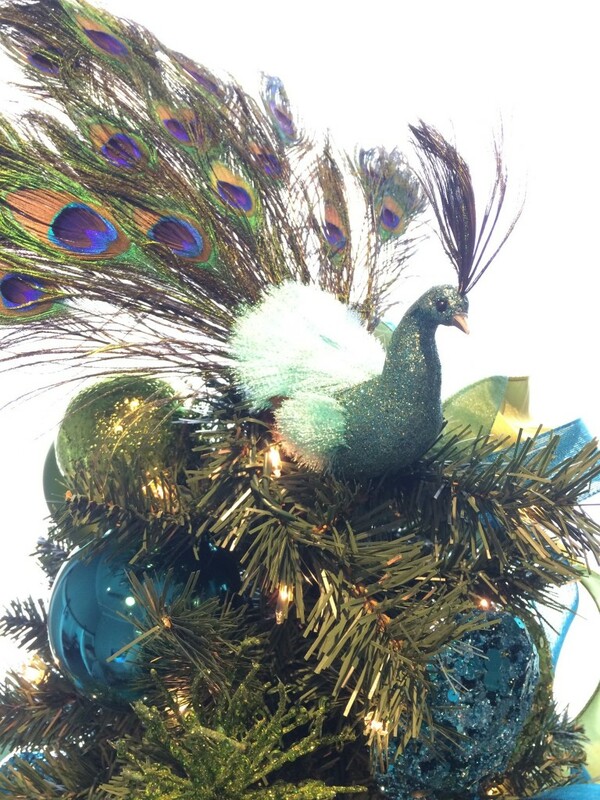 Of course, don’t forget a tree topper that makes a statement.